It can be awkward when two people show up at a party wearing the same outfit. However, when two New York galleries happen to show work by the same artist in their summer group shows, there is no need for embarrassment: gallery visitors get the opportunity to see similar art in different contexts — and they get to learn whose work has been earning supporters. In “Having a Great Summer,” we’ll take a look at a few of the artists with work in two or more New York group shows right now. First up in the series is New York-based Ned Vena, whose large, untitled abstractions are on view in two of the season’s most pleasurable group shows, Gladstone’s “The Mass Ornament,” curated by Midway executive director John Rasmussen, and Nicole Klagsbrun’s “Shape Language,” curated by the gallery’s Natalie Campbell. 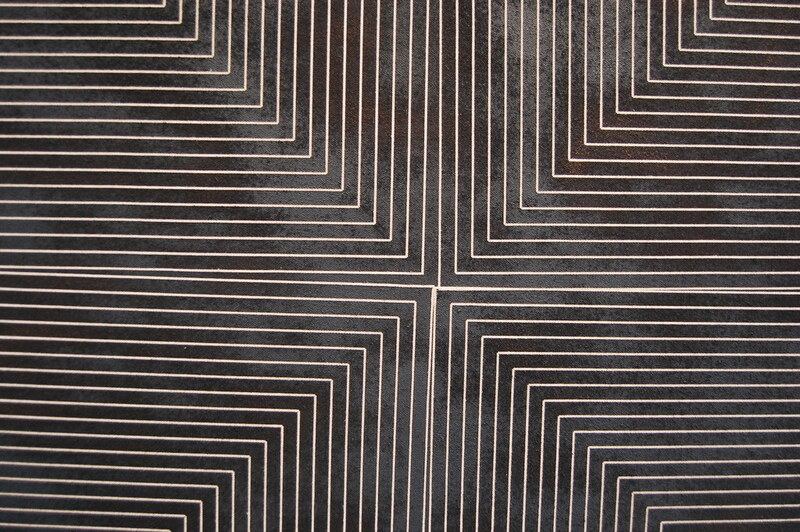 Vena made the smart decision to make work by taking Frank Stella’s early, very spare paintings, tighten their lines and apply those lines (just a little bit off balance) with a vinyl stencil: great stuff, worth showing in two (or three or four) galleries. 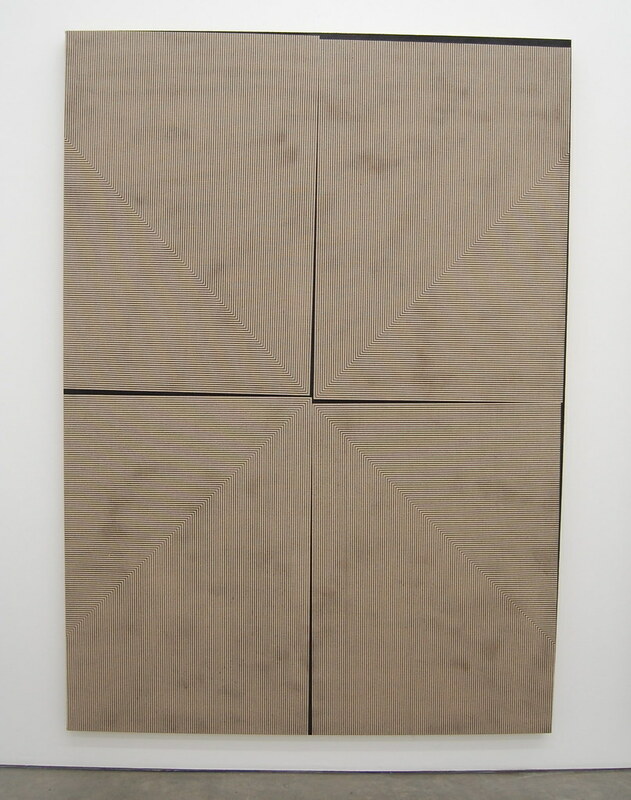 These works are constructed through a multi-stage process in which gesso is brushed onto the surface of the linen, followed by a layer of rolled on white rustoleum, an application of vinyl stenciling, the rolling of additional layers of enamel onto the surface, and finally the removal of the vinyl. 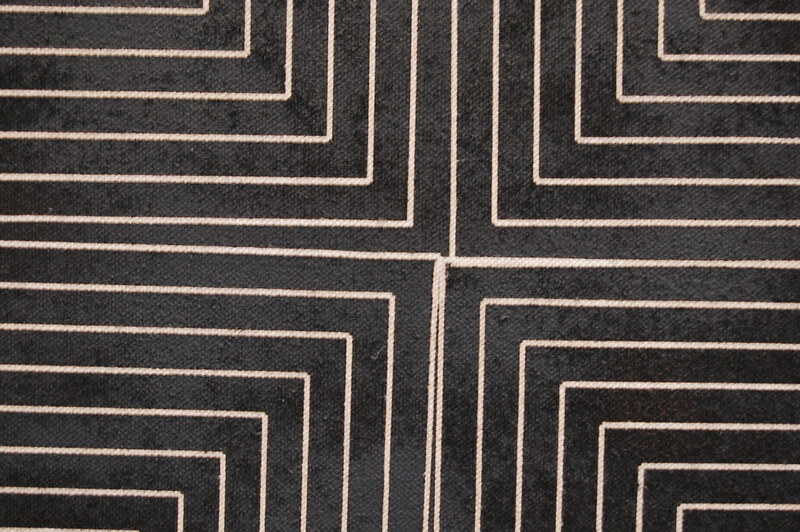 Detail view of Ned Vena, Untitled, 2010. 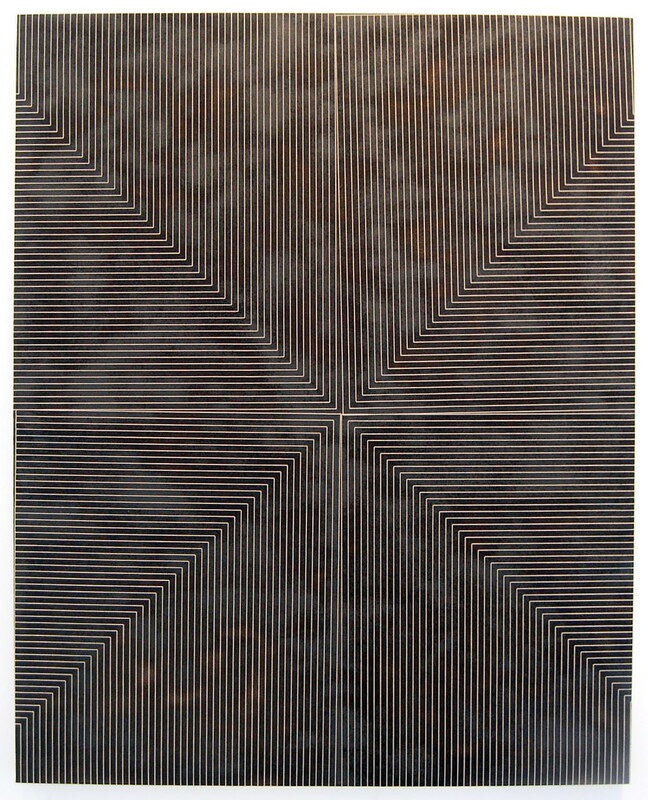 Rubber on linen, 60 x 48 in., in "Shape Language."